For the record, I think the book “The Pre-wrath Rapture of the Church” has caused the Body of Christ a great deal of pain and confusion. I think the author means well, but the book promotes, in my opinion, heresy. That is, of course, ridiculous! The entire seven year tribulation period is called “The time of Jacob’s Trouble.”Good grief, in the first 3 1/2 years there’s world-wide economic collapse, famine and one-fourth of the earth dies… sure sounds like “God’s Wrath” to me! “Pre-wrathers believe they should plan for the worst-case scenario because if they’re wrong, they conclude it won’t matter. But if they’re right, they’ll be prepared. But, in fact, if you live to see the Antichrist you’ve missed the Rapture! One of the cornerstones of Bible prophecy doctrine is that we’re to keep our eyes looking up to heaven, to our future home, not down on this earth. We are to look for Jesus, not the Antichrist! We’ve shown many times in past articles that the Bible declares that the time before the Rapture would be “JUST LIKE” the days before Noah’s flood. “Just like”! And then scripture lists the characteristics of that day that our day will be “just like.” It couldn’t be any clearer. Before the flood it was “business as usual” with parties, food, building… until God shut the door, which is the symbolic equivalent of the Rapture. This Biblical truth has to be patently ignored by those holding to a “pre-wrath” position. To accept “pre-wrath” you have to say the first 3 1/2 years of the 70th Week of Daniel is no different than today. Really? In the first 3 1/2 years of tribulation, Revelation 6 says the earth is in chaos, the worldwide economy collapses and inflation is so rampant it takes a day’s wage just to buy food. Not to mention all this causes 1/4 of the earth to die from war and wild beasts! 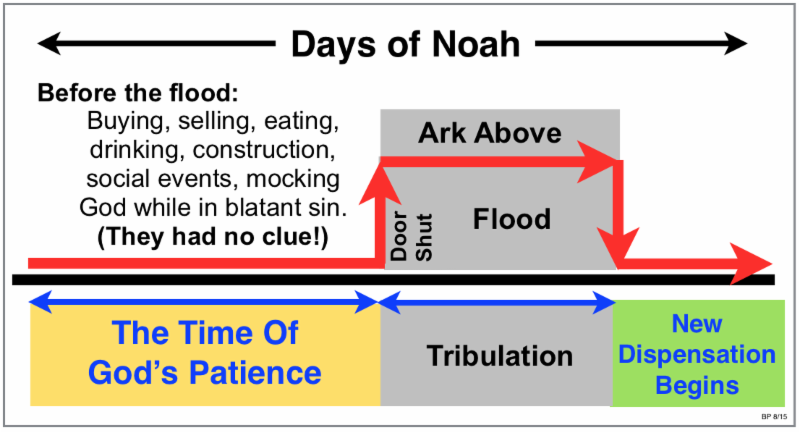 Does that sound like Jesus’ description of the Days of Noah? Hardly! The biggest problem with anything but pre-tribulational Rapture is that you have to abandon using Biblical Dispensations to interpret scripture. This is the purest of all doctrines because it’s rooted in using a literal hermeneutic to interpret scripture. The Bible is meant to be read literally, in context. Jesus took the Old Testament literally when He talked about Adam and Eve, Noah’s Ark and Jonah being swallowed by the great fish. And all past prophecies were fulfilled literally, not figuratively. Therefore we should also take the Bible literally, in context. Applying dispensations gives us that context. For instance, the Bible says four times that the Millennial Reign of Christ on earth lasts 1000 years (Rev 20:4-7). That doesn’t mean the 1000 years is symbolic for a “long period of time.” It means what it says… it will last 1000 years. If you try to make it symbolic for a long period time, you’re injecting man’s sinfully tainted understanding into the interpretation. 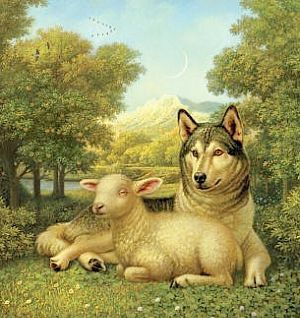 The Bible also says that in the millennium, the wolf and the lamb will lie in the grass together. 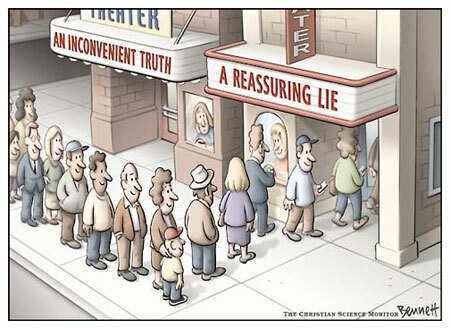 Things will change and there will be no carnivorous instincts of animals (Isa. 11:6). This is another proof we’re NOT in the millennium today! Yet the official doctrines of the Presbyterian, Lutheran, Church of Christ and Catholic denominations (and many others) promote that heresy. God doesn’t change, but He certainly does change how He deals with people through the different ages or time periods throughout history. God never changes, He just changes how He deals with people on the earth. Properly understanding and applying how God views these different time periods, literally changed my life. Understanding dispensations allowed me to know when and where to apply every verse of scripture. Without properly applying dispensations to understand the context of what the Lord is saying in scripture, you’re a ship without a rudder. I taped a Bible study showing the absurdity of not properly applying dispensations in your Bible study. I called it: Satan’s Top 10 Lies: Lie #5, “Do everything Jesus said to do.” The point I was making was that it is IMPOSSIBLE to do everything Jesus said to do in the Gospels. 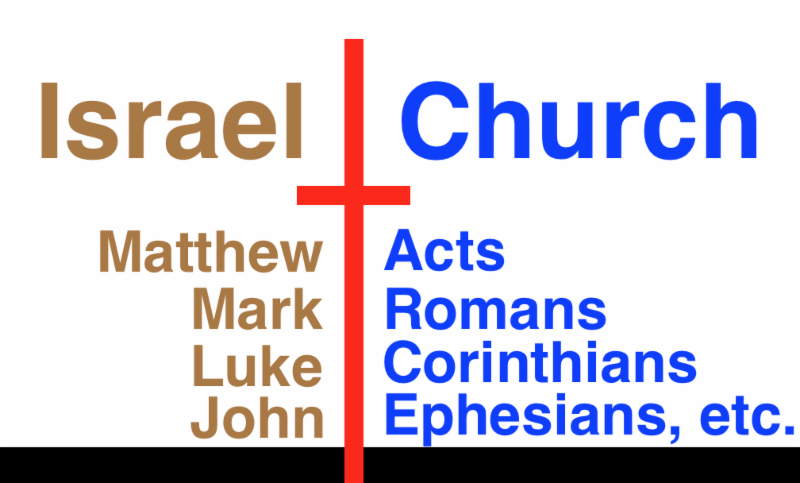 Properly understood, Matthew, Mark, Luke and John are actually the end of the Old Testament, not the beginning of the New Testament. They are an account of Jesus’ interaction with the Jews under the Law. The Gospels are not specific instructions to those of us living in the Church Age. Instructions to those living in the Church Age are given by Paul in the Epistles. If you’re interested, you can download that DVD for free CLICK HERE. I challenge anyone who holds a “Pre-wrath” view of eschatology to find something Biblically wrong with the Lie #5 Bible study. And if you can’t, you have no choice but to rethink your “pre-wrath” position. The title alone, purporting you should NOT do everything Jesus says to do, raises eyebrows because most people don’t understand dispensations. They ASSUME we’re SUPPOSE to do what Jesus says to do in the Gospels. 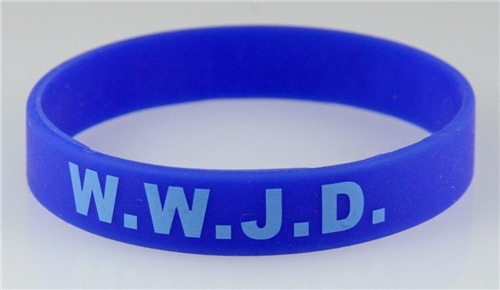 Millions have worn bracelets that proclaim “WWJD” … meaning that most of life’s answers can be found by applying “What Would Jesus Do” to all of life’s questions. But with a proper contextual view of the Gospels, it’s easy to see Jesus was not addressing those living in the Church Age, but rather, He was addressing Jews under the Law in a prior dispensation. He spoke to them differently because they did not have the discerning Spirit of God living in them. Matthew, Mark, Luke and John are about events prior to the cross. The “Church Age,” the dispensation in which we live, only began after Jesus’ death and resurrection. It began when the Holy Spirit came to earth and it will end when He leaves at the Rapture. Therefore the arrival and departure of the Holy Spirit on the earth are the bookends of the Church Age dispensation. One key characteristic of dispensational theology is that the dispensational time periods can’t overlap. A dispensation, by definition, must end before the next time dispensation can begin on God’s calendar. But the pre-wrath view has the Church Age crossing over into the Tribulation, into a new dispensation. That’s absurd! You can’t have two dispensations going on concurrently!! But the biggest downside to the “Pre-wrath” theory is that it robs Believers of the joy and expectation of the coming Rapture. The end of the Church Age is something to look forward to, not fear. We are to look for Jesus Christ, not the Antichrist! And lastly, here’s one more problem with pre-wrath that is laughable. 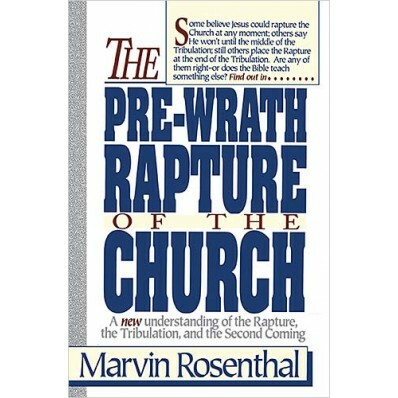 The “pre-wrath” Rapture view says that we, the Bride of Christ, will go through the first 3 1/2 years of tribulation, meaning, we’ll be severely persecuted before our wedding day with the Lord. No, we, the “Bride of Christ,” are to look forward to our marriage to the God of Love. These are just a few of the problems with the “pre-wrath” theory. There are many more–too many to write about.